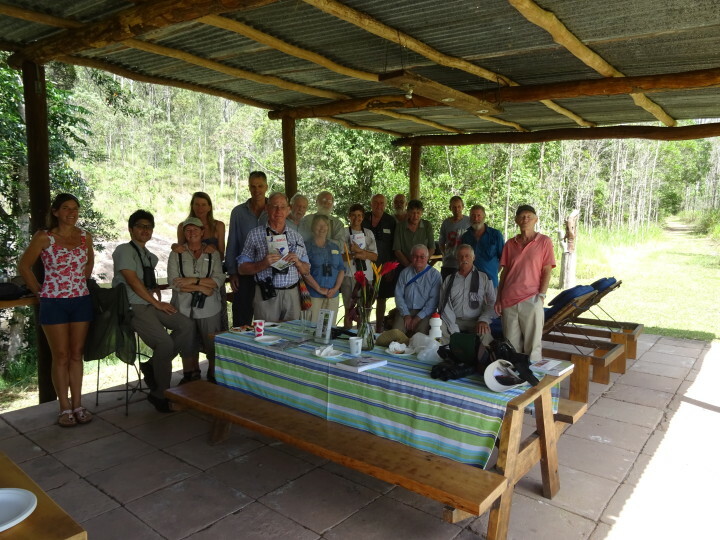 Last Sunday visitors from Cairns Bird Group enjoyed a stroll and birdwatching around Sweetwater’s beautiful grounds and up through our private rainforest, before a morning tea down at the Platypus Hut. The group contacted Lloyd Nielsen, local author/illustrator and highly acclaimed birder and bird guide to choose a suitable location for the morning’s activities and it was our pleasure to host the event. Nineteen visitors in total came along including from as far away as Innisfail. Lloyd reported that there was a bit more movement than expected given the time of year together with the heat we’ve had lately which made for an interesting walk. The rain stayed away, until later that day, and all in all it was a great success and enjoyed by all. For more information on birdwatching at Sweetwater Lodge please visit our Birdwatching page. Lloyd has just published his latest book, a fabulous and very informative guide called “Birds of the Wet Tropics of Queensland and Great Barrier Reef”.